Food waste. This topic deserves attention, everyone’s attention. I actually wrote the following at the beginning of the year. The content however doesn’t need to be changed as it has only increased in relevance and importance. We live in a throwaway society. The older I get, the more I can conceptualise how the lifestyle of each individual fits in the bigger picture. Unfortunately, there are a lot of things wrong with the bigger picture. It is easy to think that what we each do doesn’t make that much of a dent but putting all those dents together accumulates into a lot of damage. Think outside the square that is your home, your life and consider how everything comes to be in those environments. For example, take food. It does not simply just come from the supermarket. It is planted, fed, watered, grown, harvested, produced, packaged for the consumer, packaged for transport, stored, refrigerated and transported more times than we realise in the process. We then purchase our food, transport it (once again) and store it in our cupboard or fridge. Only we forget about the broccoli in the bottom of the fridge, find it 2 weeks later discoloured and soft, so in the bin it goes alongside the mouldy bread, leftover dinner and remains of that can of baked beans. You could say that the entire process of getting that food to you was a waste of resources and to add fuel to the fire, the food and packaging itself is now waste. Harsh points but with that said, it is easier to change something when you understand it. The talk reinforced the importance of teaching children. Teaching children where food comes from and that it simply does not come from the supermarket. This can be achieved by growing your own vegetables/herbs or taking them to community gardens. To also teach children that they should eat for a reason, being good health, rather than simply eating because it tastes yummy. 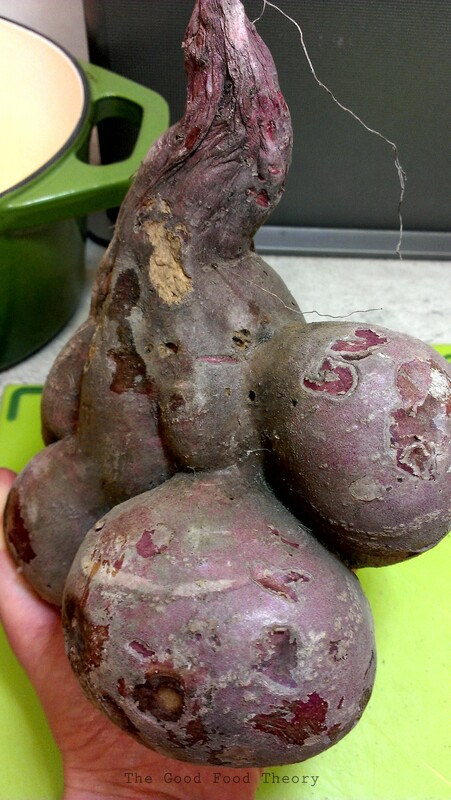 Someone needs to work out a way to make vegetables trendy for children (hint hint). Similarly, we as adults also need to remember to eat foremost for health. We should buy what we need, not buying excess simply because we are in a position to do so. Also on the whole, fresh food tends to have less packaging, so it is a win: win situation from both a food waste and general rubbish perspective. Be aware of how much food waste and general rubbish you produce AND think about how you can reduce your waste (you may just save some money too). Break the habit of being compelled to buy aesthetically perfect produce. If you’re lucky, you may just find one of these (that is brilliant in its own way)…yes, that’s a sweet looking sweet potato! This is definitely a serious issue! I don’t do much to bring awareness to it, but I always try to not waste food. It bothers me when I go out with people to eat, and they only eat 1/3 of their food and let the waiters take away the rest to throw away. Even if I only have less than 1/4 of my food left, I still save it for later. Great post on a serious issue. Thanks for sharing! This is a good topic. I think the hard part is that we live such busy lifestyles so planning and reducing waste of our food in this sense is just hard when we are working so many hours, then rushing home to get chores done or take care of our personal matters. So sometimes it’s a matter of time that we care more about the convenience of food rather than the waste it produces. It is sad. I think it would be great if someone made a product that would would promote less waste yet still offered the convenience of quick food. There are some biodegradable food wrappings nowadays, such as for chips in vending machines. Even shampoo bottles can be biodegradable and also bags from grocery stores. So things like that can really help in this regard, since the masses need to take on the challenge, and we need to make it as easy as possible for them to do so. Necessity breeds invention! You’ve worded that so well David. It is true that people are time poor and changes need to be implemented on a higher level such as making packaging materials biodegradable. The amount of energy and packaging that goes into some products though is absurd when you think about how quickly the product is consumed. Ahhh…food for thought indeed!